Two weekends ago saw a big family walk taking place, it was filled with parents, grandparents, great grandparents, aunts, great aunts, and uncles. It was a cold day at the end of January, and although the sun was shining down on us, it didn’t detract from the overall chill that spun it’s cold breath over everything it touched. Leo had been excited about his walk, and he started off full of energy, running, darting and jumping along his merry way. Of course it wasn’t long before the abundance of energy had deserted him. Leo walked up the steepest muddiest hill I have ever come across, and he handled it much better than I. 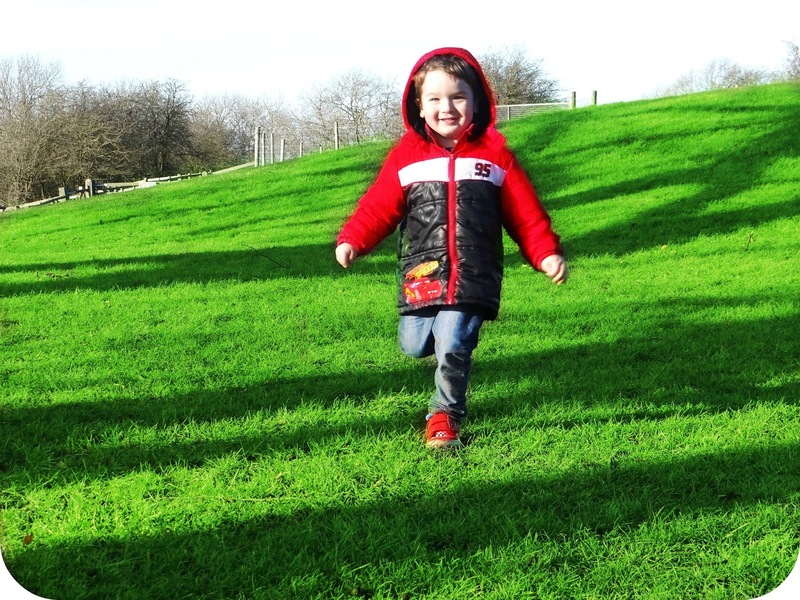 We were slipping and sliding trying to find our footing, but each attempt was thwarted by mud, but Leo kept on climbing…Despite eventually going full front into the mud, covering his lovely snow suit and his hands in sticky, squelchy mud. Of course this was quickly rectified, and soon I was sporting leggings with those very muddy hand prints all down them, but thankfully Leo was smiling again. It was around this time as our ascent continued, that Leo looked behind him and saw his Granny struggling to get up the hill. Granny suffers with Rheumatoid Arthritis, and the walk hadn’t really been tailored for her, or a 3 year old for that matter, but still they both soldiered on. Leo saw his Granny trying her hardest to get up the hill, he saw her slipping and sliding and he looked worried for her. In a split second Leo had turned on his heels and started marching back down the hill to his Granny, it was then that Leo took her by the hand and began to pull her up the hill. He was helping her, trying to make sure she was ok, because he was worried she might fall over and hurt herself. Granny looked very pleased with her little Grandson that day, I would even say rather proud. She thought that Luke or I had put Leo up to it, but in matter of fact it was as much a surprise to us as it was to her, and it was all done completely off Leo’s own back and merit. When I asked Leo about it later he said ‘I scared Grandma fall. I help her up’. I gave him the biggest hug for being such a thoughtful little boy, but that’s Leo all over. He’s observant and caring, so of course he was going to go out of his way to try and help his Granny. It was only last week that Leo and I were sat watching a film together in the lounge, when he took his blanket and draped it over me, tucking me in with him while we snuggled together. ‘You not cold now Mummy’ he said once we were all tucked in. Then Leo noticed that my feet were coming out the end of the blanket ‘You got cold feet Mummy!’ he said, and he pulled a pillow out from under him to place over my feet. Then just to make sure I really wasn’t cold, he piled pillow after pillow onto my feet to ensure they were warm. Leo has such a big heart and is just so loving, watching him sharing his kindness with the people he loves and encounters is such a magical sight. It means that I have done something right along the way, and he really is a credit to me.